Finally! Spring and warmer temperatures are here (Sorry , East coast folks) and I am busy at the grill/smoker again. After carrying my whole salmon into the kitchen three times the other day to better examine its progress on the grill I decided it was time to get some better lighting for our outdoor kitchen area. 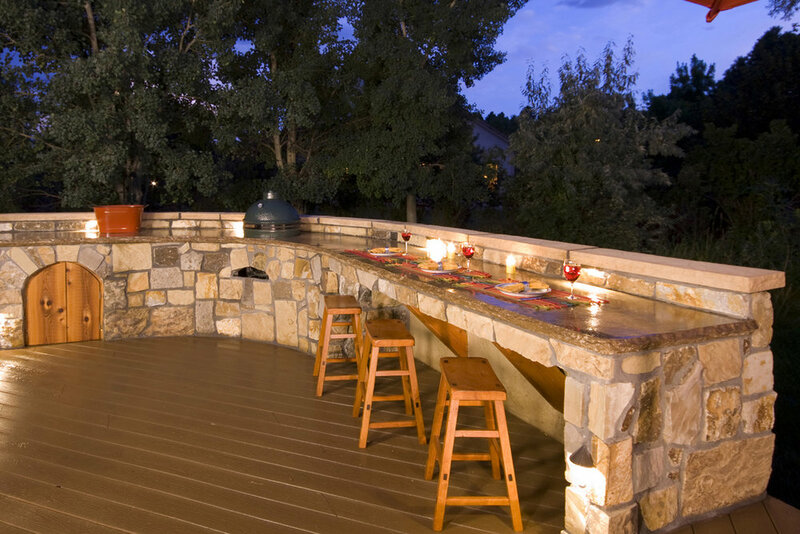 Outdoor kitchens are getting more and more commonplace as well as elaborate. But no matter if you have a single coal-fired barbeque grill on wobbly legs or a complete kitchen with refrigerator, gas grill and built-in oven, good lighting is a must. A flashlight just doesn't cut it in the long run. 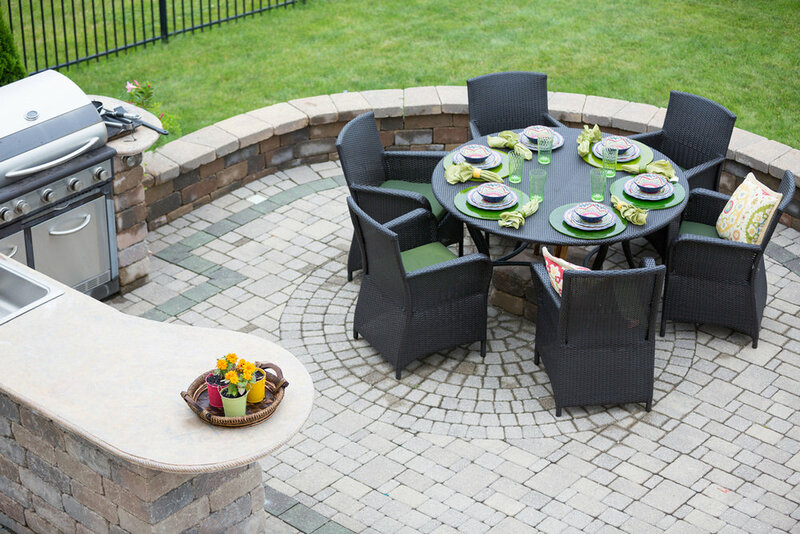 In many cases the outdoor sitting area has become more like an extension of the living and dining rooms with comfy chairs, sofas and large dining tables. In our home we spend practically all our time outdoors from late spring until fall. So of course lighting is needed to create the same ambiance we are expecting indoors. 1. Lights should be damp or wet rated Since we are outdoors this is a no-brainer. Wet location fixtures are necessary where the light will get hit by train or snow, while you can get away with damp rated fixtures in more protected areas under a roof. 2. The grill area needs task lighting Need I say more? 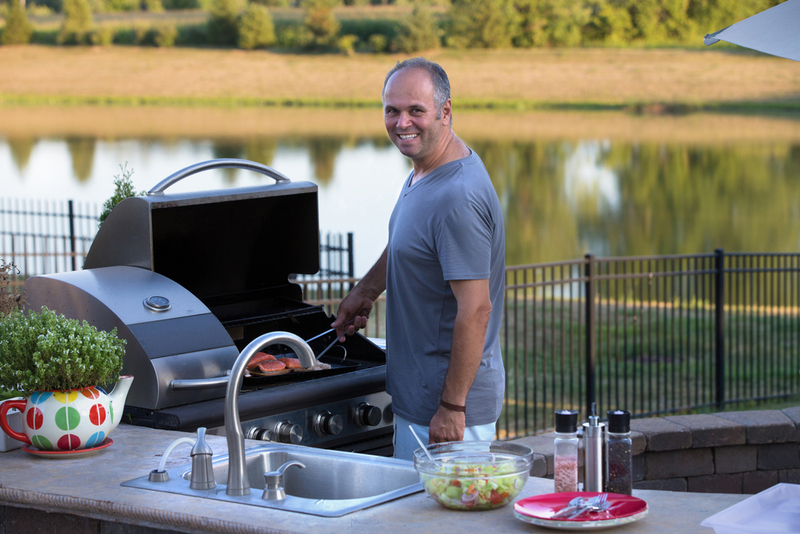 Whether you choose a grill light that attaches to your grill itself or a wall light or a pendant over the work area just look for ample light. I find that a small grill light often has too focused a beam. Especially if the grill is away from other light sources it tends to create too sharp a contrast between the light and the darkness around it, which as mentioned before, is like a trip hazard. If possible choose a light for your work area that illuminates a wider area and if possible put it on a dimmer, so you can turn the light up for checking on the grilling progress and use it as a mood light when you are finished. So, if you want to illuminate your shelves to be able to find your cooking gadgets, but don't want them to be a focal point, try to find a rope light that blends in with the same color temperature as the rest of your outdoor lighting. This means going to a more upscale version where you have choices of color temperatures. Or the budget version: get a regular rope light with white light and give the edge of your shelves a lip to conceal it. If necessary, paint the inside of the lip a color that will warm up the light.